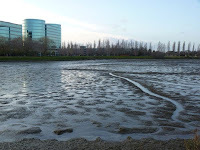 I returned to the Redwood Shores area late in the afternoon to take a second walk. I picked up trail behind the Redwood Shores branch of the public library. 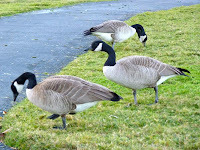 From there I headed walked southish along the water on primarily paved (asphalt) sections of trail and sidewalks. When I reached Oracle headquarters, the trail took me around and behind the campus. I passed the Oracle Bridge (leading over to Belmont/Foster City). 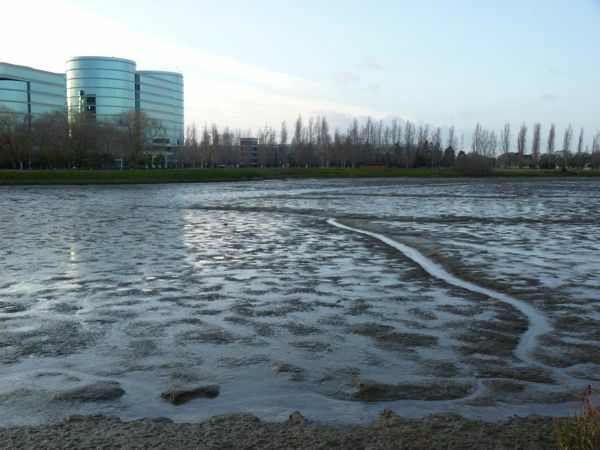 The high tide this morning had receded, leaving mud flats in its wake. 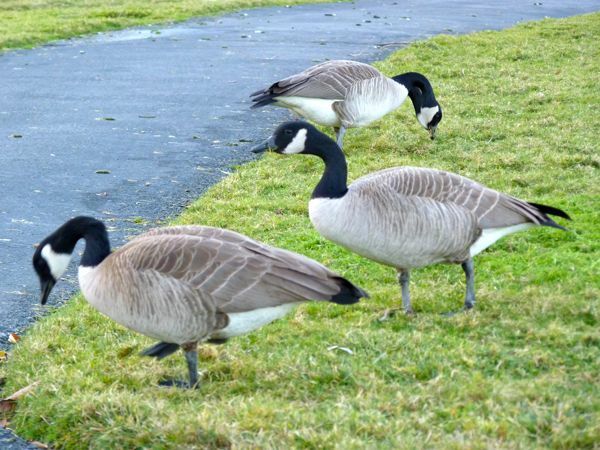 The dozens of Canada geese I saw nibbling on lawns didn't seem to mind. 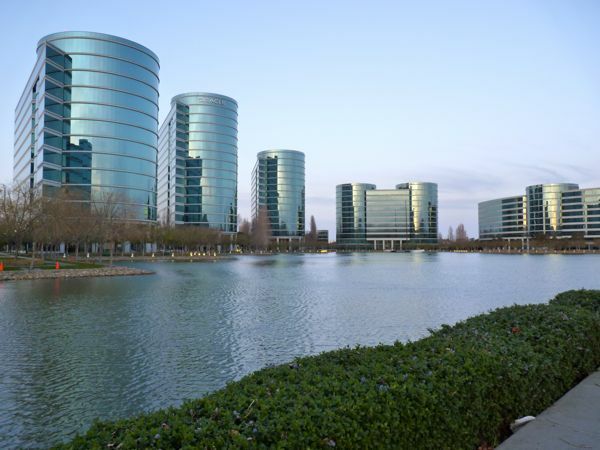 At the light on Oracle Parkway, I crossed over to Oracle HQ driveway, and walked along, parallel to, the large body of water with a large fountain and an official BMW Oracle racing sailboat -- all part of Oracle headquarters. 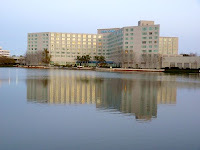 I crossed Marine Parkway and walked down Twin Dolphin Dr. to Hotel Sofitel, where I'd left off on a previous walk. 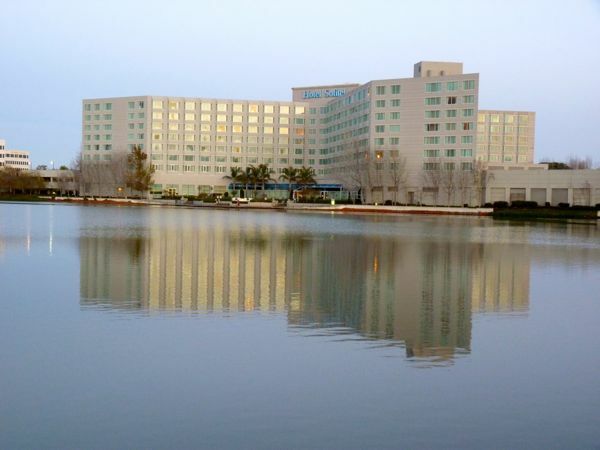 The hotel (and Bay bar) offer a great view of the lagoon, if you want to stop to have a drink or a bite to eat. I turned around here, and I headed back, walking back on Marine Parkway. I eventually crossed the street to walk northwestish on Bridge Parkway, back to the Library.